New fuel filler door. If yours rusted or the hinge broke. Bolt up this new one. Comes in black primer. Leave as is or you can paint to match. Attaches to any 80 series from 1991-1997. 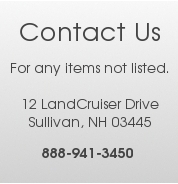 We have a Used option that is a great replacement for a rusted or broken fuel door. You can select your color below. 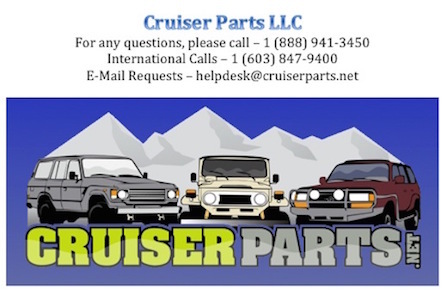 If you have any questions about the color you need you can feel free to call and we will look it up for you (according to your VIN number) or you can send us a picture and we can let you know what your color code is. New Parts available ONLY in primer. Color Codes are specifically designated for Used Parts.